Beaulieu Abbey is a must-see attraction for many New Forest visitors with an interest in the history of this fascinating area. 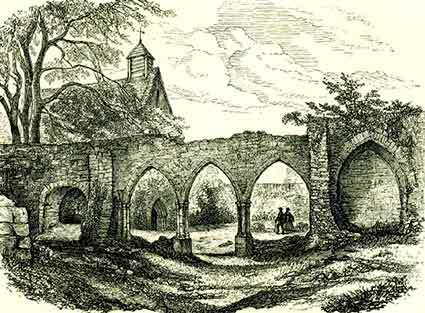 Although much of the Abbey was demolished following the Dissolution of the Monasteries - during the reign of Henry VIII, a visit to what remains provides an opportunity to learn about and experience the way of life of the Cistercian monks who founded the Abbey in the early 13th century, and to visit the cloisters and the monks' herb garden. Nearby Beaulieu parish church, too, is another reminder of monastic times, for this still-imposing building was originally the monks' refectory. Palace House is surely one of the New Forest's most impressive historic treasures. 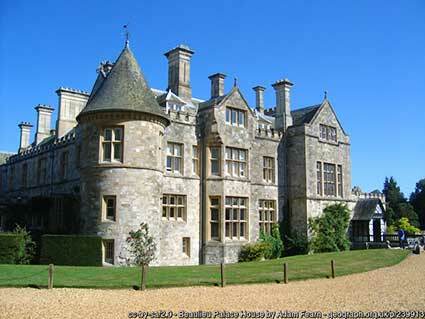 Formerly the 13th century Great Gatehouse of Beaulieu Abbey, but considerably modified and extended in later years, Palace House has been in the family ownership of Lord Montagu since 1538 when Sir Thomas Wriothesley bought the estate after the Dissolution of the Monasteries. Part of the same complex as Beaulieu Abbey and Palace House, the award winning National Motor Museum houses over 250 automobiles and motor cycles that tell the story of motoring from the earliest days up to the present time. From Formula 1 cars and land speed record breakers to historic vehicles dating back to 1875, there is so much to see for motoring enthusiasts. Displays include an exploration of the golden age of luxury motoring; an examination of the evolution of the motor car; and a look at motor sport, from Grand Prix racing to Road, Race and Rallying. There's the Motorcycle Story, too, and a rustic 1930s garage packed full of artefacts and memorabilia. Look back to the days of World War Two when Beaulieu was home to a finishing school for Special Operations Executive (SOE) Agents; step into the world of TV's Top Gear programme with a range of cars used in the series and a chance to take a look at the studio layout; and ride the monorail and open top, veteran bus. Be sure to check here for the latest information about Beaulieu Abbey, Palace House and the National Motor Museum.